Brett L. Wery is an active composer/arranger in the Capital Region area of upstate New York. He is a professor at Schenectady County Community College in Schenectady, NY where he teaches theory, conducting, and applied woodwind studies. Mr. Wery conducts the Schenectady County Community College Wind Ensemble and is the Music Director/Conductor of the Capital Region Wind Ensemble. As a professor at Schenectady County Community College Mr. Wery has been the recipient of the SUNY Chancellor’s Award for Excellence in Teaching, the SUNY Chancellor’s Award for Excellence in Scholarship and Creative Activities as well as the SCCC Foundation Award for Excellence in Teaching. Mr. Wery’s, Three Conversations with Coffee, was recently selected for inclusion in the International Trumpet Guild’s New Works Recital at the 2014 ITG Conference in Valley Forge PA. The Detweiler Duo a group based out of Tempe Arizona that is actively engaged in commissioning new works for saxophone and piano. 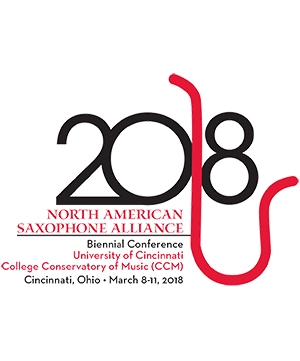 The Duo seeks to build up saxophone and piano repertoire by commissioning contemporary composers to write challenging and diversely stylistic musical works. The Detweiler Duo has performed recitals at the NASA Southwest Conference and at Arizona State University. Samuel Detweiler, saxophones, Amy Detweiler, piano. Amy Detweiler Piano Amy Detweiler graduated from SUNY Ulster with an AS in Music in 2011. She went on to The Crane Schoo . . .